One of the most viewed stories here at AirlineReporter year in and year out is the primer on how different airlines board their flights. Of course, this is something that every passenger, from the lucky few who board Etihad’s Residence to the basic economy flyers on American, United, and Delta have to do in order to take their flight, so it will forever be a question that travelers are asking. However, even that last sentence belies the reason for this update. The original post was written five years ago, almost an eternity in the aviation business. In fact, neither the aforementioned luxurious Residence nor basic economy at the other end of the spectrum had been implemented yet. Therefore, we felt it was time to dust off an old favorite. For starters, several of the major airlines of 2013 don’t even exist anymore. Half a decade ago, the new American Airlines was the hottest topic in the news, with the merger having been announced just five days before the article was published. Predictably, US Airways no longer exists, and American’s processes have changed with the times. AirTran, which was undergoing a merger at the time, is just a memory now, and Virgin America is fading fast with it. Almost every airline has their own take on boarding. Most, however, stick to a similar formula: elites and first class first, people who buy up to priority boarding second, then finally the rest, with some segmentation based on fare class, check-in time, or algorithms. Though larger bins for carry-on bags and fees for using overhead space has alleviated some of the crush for baggage space in the cabin, as always, the aim is to get on board as soon as possible to claim that sliver of space. Depending on what airline you fly, where you wind up will change. And with that, here’s what to expect on each of the United States’ key players. Personally, I have never flown Alaska Airlines. Or Virgin America, for that matter. However, they’ve stuck pretty close to the classic formula. As they define it, they only have two groups: pre-boarding and general boarding. First, customers with disabilities, small children, and active military board the plane. Next come the usual suspects, first class, MileagePlan elites, and premium class, Alaska’s relatively new premium economy experience, respectively. Finally, in general boarding, the airline seats customers from the back of economy to the front. 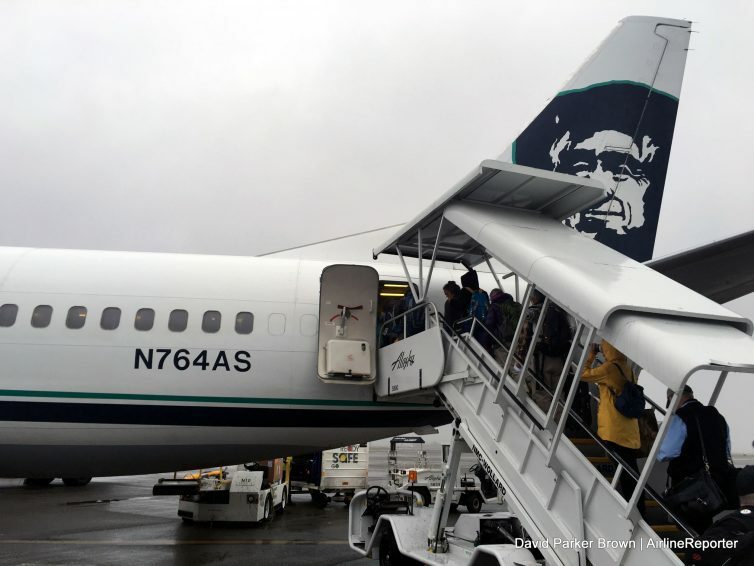 Unlike some airlines, which have moved towards random or algorithmically generated boarding group divisions, Alaska still keeps a tried-and-true method: fill it up from the back first. Any further questions can be directed towards Jenn, Alaska’s helpful artificially intelligent chat window. Known for their highly customizable fares, this leisure airline connects smaller cities and an increasing number of larger ones with sunny vacation getaways. The company was one of the first in the United States to adopt the now-prevailing approach – the “a la carte” model, where a fare comes unbundled, leaving the traveler to determine what other services they require, and paying for them as they deem fit. The upside to this model means that perks like getting an assigned seat, an exit row, or, on some flights, bigger seats with extra legroom, are fairly affordable, though still an extra cost. The add-ons each customer buys, in turn, determine boarding order. Everyone who does not select a seat assignment ahead of time will be assigned one when they check in to their flight. During boarding, any passengers requiring assistance or more time pre-board the aircraft, followed by those who bought priority boarding. The general boarding phase follows, and is free of charge. American, rather helpfully, actually discloses their boarding process on their website, and is also one of carriers with a visually different process from the original edition of this article. Upon further inspection, however, they didn’t fundamentally change the system drastically, though the now-nine group system appears more complicated at a glance. Recently, American shifted from having a large, segmented pre-boarding group into several smaller classifications. 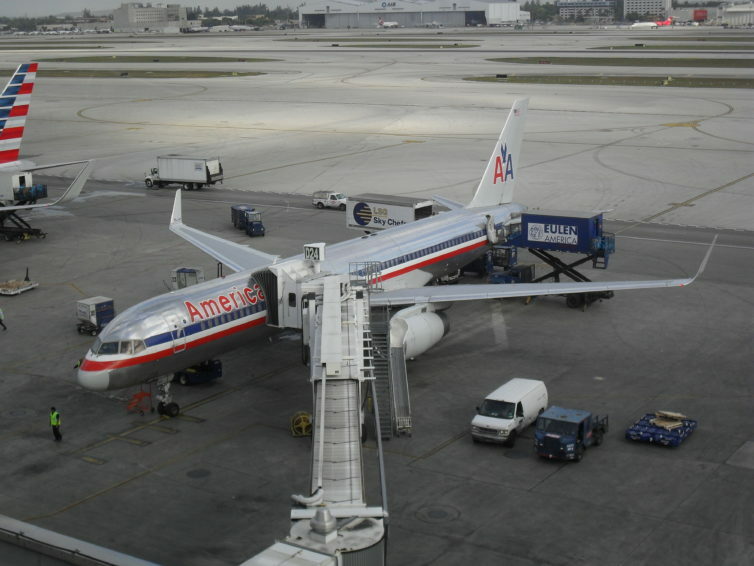 American’s highest tier of frequent flyers, ConciergeKey members, board before all nine groups. Notably, passengers that buy priority boarding wind up in group four, after the front cabins and most AAdvantage elites have boarded, which is certainly priority over, say, group eight, but not exactly the first aboard the plane. Since groups board sequentially, and basic economy customers, whose fares do not include a carry-on bag, are in the ninth and final one, a dearth of overhead bin space is less of an issue with them at the very end of the process. Delta, like American, has divided their process up into several zones. Theirs, however, aren’t labeled all by numbers like their competitors in Dallas. First, customers in need of extra time as well as active military personnel pre-board the aircraft. Then, Delta One, First Class, and Diamond Medallion customers get their turn in the premium zone. Next come the other elites, except Silver Medallions, and upper-level partner elites, card holders, corporate travelers, and customers that bought up to priority status in zone one. Fare class breaks up the rest of the zones, with most of the main cabin boarding, followed by the rest of the cabin, and basic economy bringing up the rear yet again. Frontier specifies just two boarding groups when outlining their process. First, special services, courtesy boarding, and zone one customers board the aircraft. Zone one includes customers that purchased a carry-on bag, the WORKS, which is their bundled fare, or EarlyReturns elites. The rest of the aircraft boards in turn after these customers, a fairly straightforward process from the discount carrier. 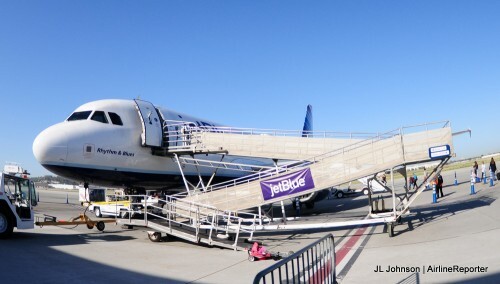 jetBlue used to rather uniquely break up their boarding process by row. They have grown more conventional, however, dividing their groups across the entire cabin. After the typical pre-boarding for customers with disabilities, Mosaic and Mint customers get first dibs. Group A follows, with customers who purchased jetBlue’s extra legroom product, Even More Space. Before the remaining groups, active military and families with strollers are permitted onboard. Finally, groups B through E board the aircraft. Southwest remains the outlier in the American commercial aviation field. Long known for not assigning seats, Southwest has stuck to its general-call boarding process over the years, even as other airlines move to a numbered group process. The Southwest system, however, still manages to make caveats for elites and people willing to buy early boarding, however. The airline designates three zones, A, B, and C, with up to sixty people in each zone. Nominally, it is based on check-in time, but purchasing a Business Select Fare assures a coveted spot A1-15, as does Upgraded Boarding, when available. Rapid Rewards A-List members and customers who purchase Early Bird Check-In are also assigned their alphanumeric spot before the general public gets the opportunity. Customers with disabilities and families with young children board between groups A and B. From this point, customers take positions based on when they checked in, board accordingly, and take any open seat on the plane they please. BONUS: No Status? No Problem. Spirit, the most notorious ultra-low cost carrier in the country, breaks down its boarding groups fairly similar to fellow low-c0st carrier Frontier. Unlike Frontier, Spirit adds an additional two groups to its process, for a grand total of four. Like most airlines, they lead with pre-boarding for the usual suspects. Spirit then allows those that purchased a Big Front Seat onboard, followed by those with priority boarding and carry-ons. Finally, everyone else is divided up and boards in the remaining groups. United and American have a remarkably similar boarding process, with the only notable difference being less categorical breakdown early in the process for the Chicago-based airline. United’s numbered groups only stretch to five, rather than nine. United Global Services members are included in the typical pre-boarding process for unaccompanied minors, customers with disabilities, families with small children, and uniformed military. This is a small group of the airline’s highest-value customers. Next, group one features all premium cabins as well as the next two highest Mileage Plus levels. Group two includes the remaining Gold and Silver tiers, as well as cardholders and customers who purchased priority boarding. Finally, the rest of the main cabin boards in groups three through five, with basic economy bringing up the rear. Every so often, airlines change their procedures a bit, generating a little news and a lot of confusion. Understandably, this won’t stay up to date forever. 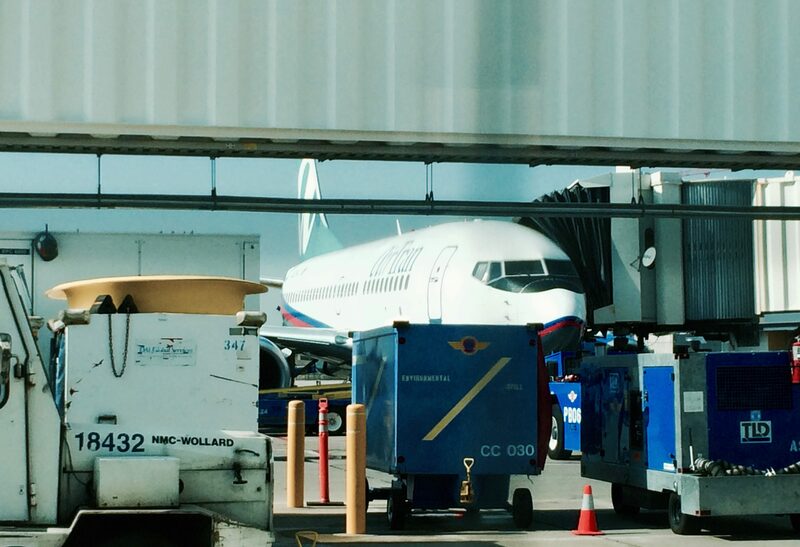 There will always be methods in the works to board an airliner better, or so the theory goes. Revolutionary industry breakthroughs are hard to predict, so it remains to be seen how much these processes change in the next few years. As always, check your boarding pass and listen closely to ensure you’re in the right place at the right time. And, of course, enjoy your flight. 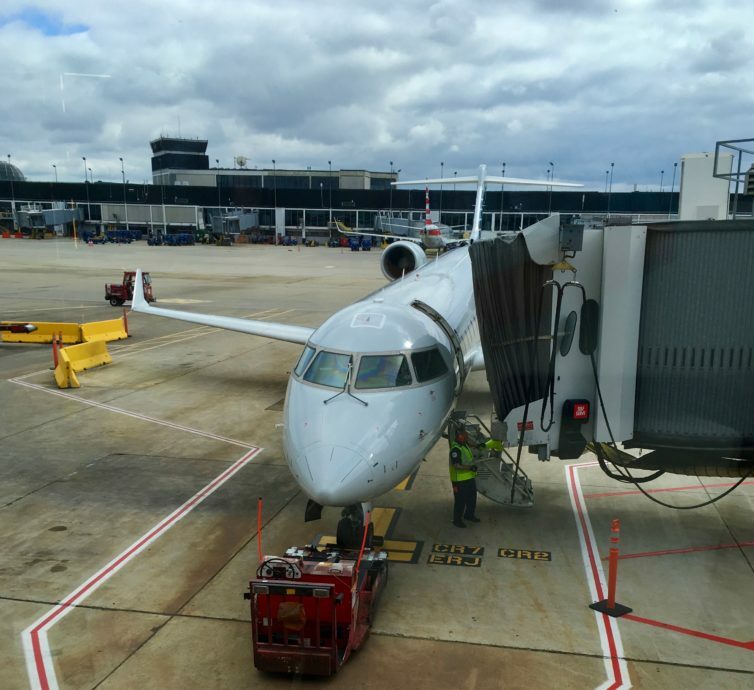 The post An Updated Look at Airline Boarding Processes appeared first on AirlineReporter. China Eastern Economy: Does it Deliver?